Theme: Race, Racialization and Racism: Share Your Experiences! 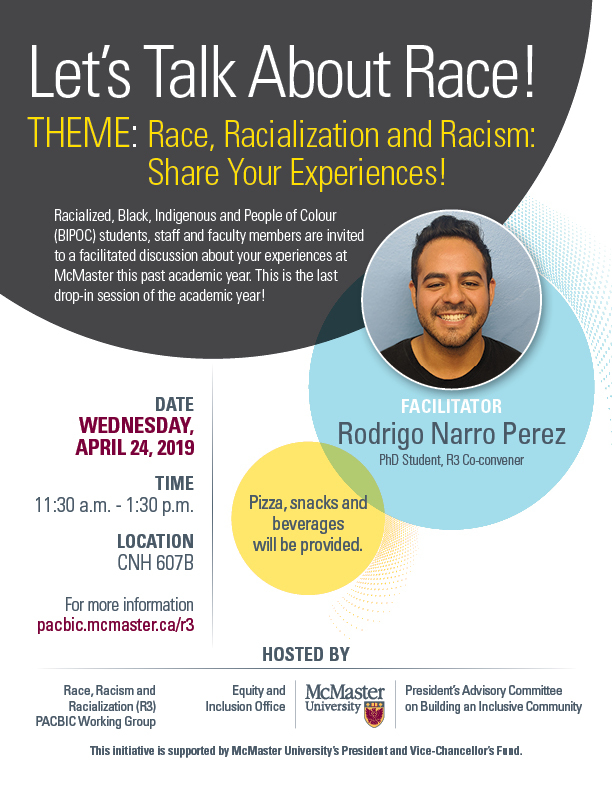 Racialized, Black, Indigenous and People of Colour (BIPOC) students, staff and faculty members are invited to a facilitated discussion about your experiences at McMaster this past academic year. This is the last drop-in session of the academic year! *Pizza, snacks and beverages will be provided!